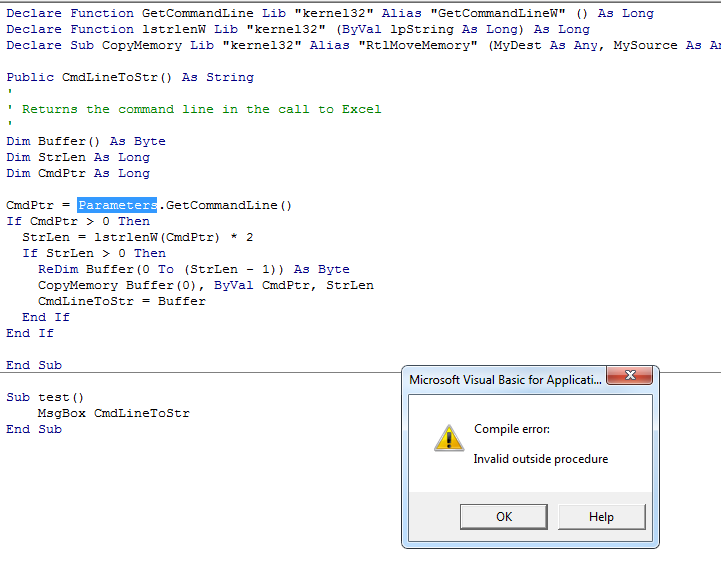 How do you run a .exe with parameters using vba's shell()? 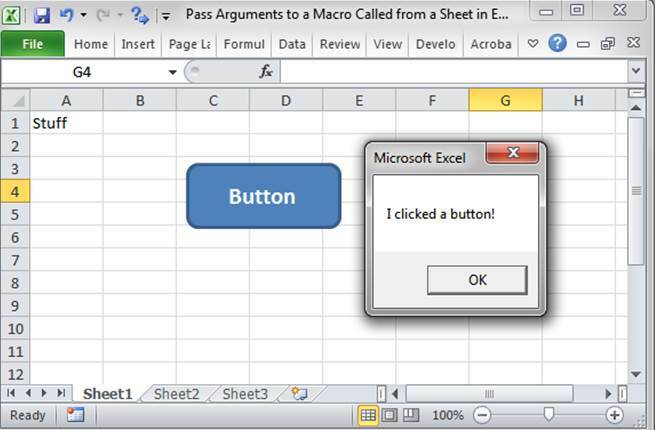 Step 1: Open any existing Excel Application. How do I have to format the file path to tell Shell that there is an argument that it needs to call along with running the. Arg1 to Arg30: It is an Optional parameter. The user chooses which one they want from the combobox and then clicks an Activity button which runs the NavigateToActivity macro. 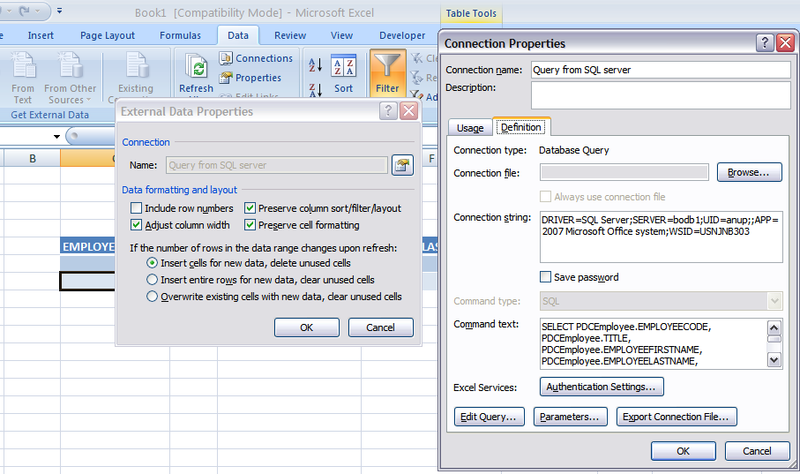 One common task is to refresh all the pivot tables in the workbook. Instead, a drop-down box and one button might be sufficient. ListCount End Sub If you notice, the sheet name and Listbox name are hardcoded into the macro, therefore we would need one macro for each button. There is no other difference between my first code version and my second besides the late binding. The code works quicker if the file below is open, as it should be. Run statement so that the text-string is interpreted before the whole statement is executed. These are in the Excel Project Benchmarking. You can use the IsMissing function to determine whether the argument was provided or not, and if not to get it from the worksheet. Whenever the button is clicked, the count of items in the Listbox above it is displayed in a message box. We can have several macros calling another macro. When I run it I don't get an error, but the macro doesn't run either. There are no hardcoded variables within the code; they are passed to the code when it is called. I have some code to start with and when using a hardcoded filename in the word macro I get it to work, but I need the filename to be passed as a variable. Following are two macros; one to run a sub with no arguments, and one to run a sub which does require arguments. One difference between your code line that works ByRef and my line 5 in my second code is that I am referencing a code in a worksheet code module and you a code in a normal module. If this characteristic is not required, I find a Call, or even simply exposing the run Method at the interface is adequate in auto instancing and initiating the running of a code. That might not be the case; maybe the argument is based on a cell value. 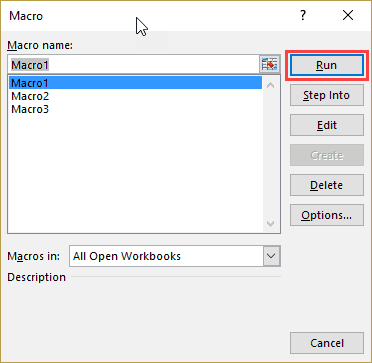 The example below shows how to call Macro2 from Macro1. If there is no space, the single quotation marks are not required. This enables a different macro to be triggered depending on the value of the string variable at that point. Would you like it to obtain a value from a worksheet cell, a file, or some other place perhaps a random number generator? Is it some sort of menu so you can jump from sheet to sheet? Once again, take careful note of where the single and double quotes are. If so I have code at work that on opening creates a combobox containing all the sheets in the workbook. In any case I was thinking I may have exposed an interface at a late ish time which has revealed the Method Run which has auto instanced a code run as in a normal procedure Call. Run and a simple Call. Only, I can't get it to work. These are simple enough to create with the basic Form Controls found on the , which is what makes them a popular option. Also Call MyMacroName will not work to call a callback in the same workbook. You have several options: 1. This just determines whether you want the program to open in a maximized window or in a normal size window. 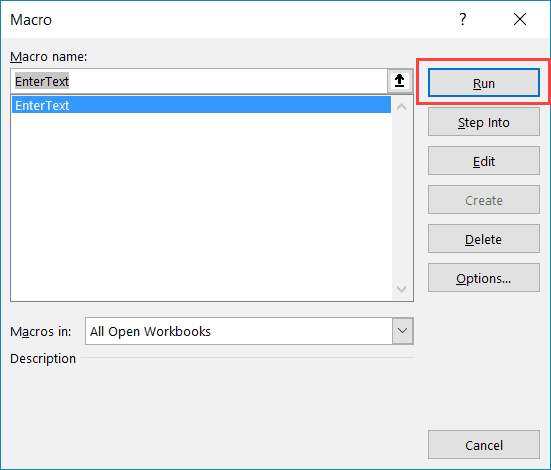 Press Alt + Q to close the Editor window and switch back to your workbook. Code Lines 3 and 5 may possibly start using the Application. Suppose you need to change your data in some way. Run correctly, in particular such that it will then open a Workbook if necessary, then the work a round discussed in this blog is relying on it then not really working further correctly, but rather , as I suggested by relying on a side effect that then causes a normal Call type process to take place. I have tried to annotate my code to show where it fails. I suggested that line 5 in my second code, while it might have somehow used Application. So if the number is 346 then this number and all the other 7 boxes become a red font. Add msoControlPopup, , , , True With m. Add msoControlButton, , , , True With mi. But I want to have another file call it master file that I can independently call the data file and extract the information closing it data file when done. 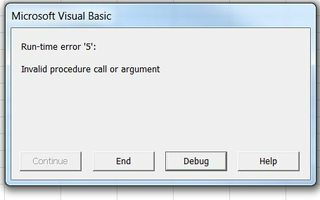 However, you will need the Call statement if your macro contains parameters variables that you want to pass through to the called macro or function. 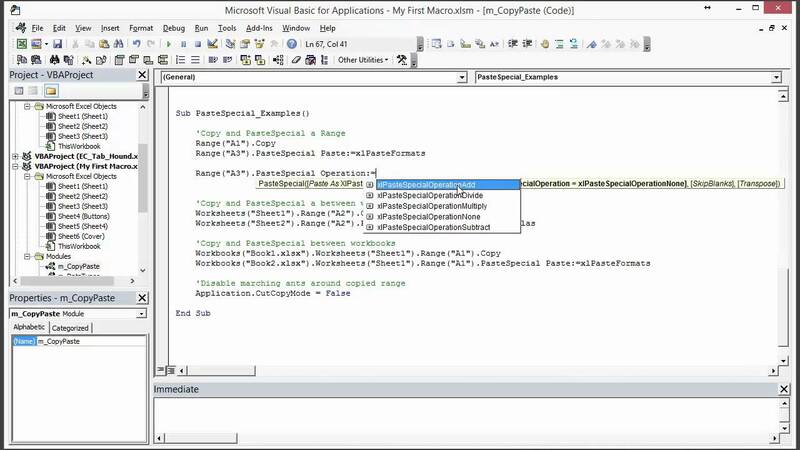 Step 3: Insert a code module from then insert menu. Change the code of NavigateToActivity to look at the value of the combobox. Would you elaborate on this? The blogs I have seen up until now, all do a check using standard ways to see if the Workbook is open or not, and if not then they open it using standard ways. Run works as they say it does, and will not pass an argument ByRef. You no longer need lots of buttons. This is the first time I post a question, so any advice on how I ask questions is also appreciated. ?? Notify me of new posts by email. I have made a user form with 7 entries. Delete On Error GoTo 0 Application. Sub CallAnotherMacro Call NameOfMacro End Sub Parameters used with this method are enclosed in parentheses and separated by a comma. The full path and name for that workbook is in the main codes. To call a macro from one of these types of modules, it requires a small adjustment; the name of the object must precede the name of the macro. Then, the parameters have to be either global or set as part of the called sub. I do not understand what exactly is going on, I was just commenting and making suggestions.